Kefir is a probiotic drink which is well known for its various health benefits. The healing qualities of kefir have been known since the ancient times. It is a traditional health drink that is recommended to everyone. Many people prepare kefir at home. The trick with making kefir at home is using the proper starter culture. The starter culture is nothing but the kefir grains which are a combination of acetic acid bacteria, lactic acid microorganisms and some beneficial yeast that work in a symbiotic relationship with each other. The metabolic product that results due to the fermentation of these organisms is responsible for the probiotic quality of the kefir. The probiotic organisms that are found in kefir live inside the intestine of human beings and protect the body from several harmful pathogens. In this way, the body is detoxified and the immune system is strengthened. The organisms that constitute the starter culture are Lactococcus species, Lactobacillus species, Saccharomyces species and Candida species. The temperature at which the culture is stored should be between 0-10 degree Celsius. Each box of the starter culture can contain up to ten small 1 gram foil-packets of culture. Once you open a foil-packet, you should not store back the remaining culture. You best use pasteurized milk for preparing kefir. In case you decide to use raw milk, you must heat it at 63 degree Celsius and then cool it down to about 24 degree Celsius. You should add the starter culture to the milk and then stir it properly. After stirring it well, you should keep the mixture undisturbed at 24-29 degree Celsius for 14-16 hours. Lastly, put the mixture in the refrigerator until it cools down to 10 degree Celsius. Don’t stir the mixture. After following the simple four steps, you will get the final product called kefir. The quality of the kefir depends largely upon the milk that you are using. The milk should be fresh and pasteurized. If you are not satisfied with the final product, then you can use another brand of milk. If you are thinking of preparing kefir many times, then you can use the final product as the starter culture. You can add about 2 tablespoons of the final product in 1 liter of milk. In this case, it would take 2-3 hours less for fermentation. Where to get Kefir Grains ? Kefir is a cultured milk product which has a huge range of health benefits. It is a creamy product containing a refreshing flavor and a sour tart. It contains plenty of beneficial yeasts and probiotic bacteria that contribute to the several health benefits that kefir boasts of. Kefir is made with kefir grains which are gelatinous yellow or white particles. Kefir grains contain a mixture of yeast or bacteria clumped together with complex sugars and milk proteins called caseins. The size of the kefir grain ranges from the size of a wheat grain to the size of a hazelnut. The kefir grains properly ferment the milk to produce the cultured product called kefir. People often get confused about where to buy kefir grains. This is because the kefir grains are not frequently available in both stores and online. 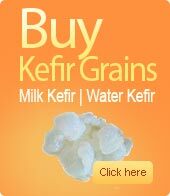 There are very few trustworthy sources which sell Kefir grains on the internet. One of the trustworthy sources is Kefirshop.eu. Kefirshop.eu sells fresh an dehydrated kefir grains of good quality. The best thing about Kefishop.eu is that it ships its products internationally. The price of grains that Kefirshop.eu sell is also quite affordable. Where can you buy the best fresh kefir grains? You can go for fresh kefir grains instead of dehydrated kefir grains if you are living in the Europe. This is because you can use the kefir grains immediately after you get them in the mail after a few days. 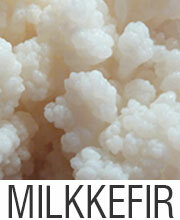 Kefirshop.eu sells fresh kefir grains of a nice quality. One to two tablespoons of kefir grains would be more than enough for you to start making your own kefir. Live kefir grains are sold at Kefirshop.eu are vacuum-sealed with air and well-packed. Thus, you would be happy to find the grains in a usable and intact condition when they arrive. Many sellers do not seal the grains properly and therefore, due to poor packaging, they are hardly of any use. Where can you buy the best dehydrated kefir grains? 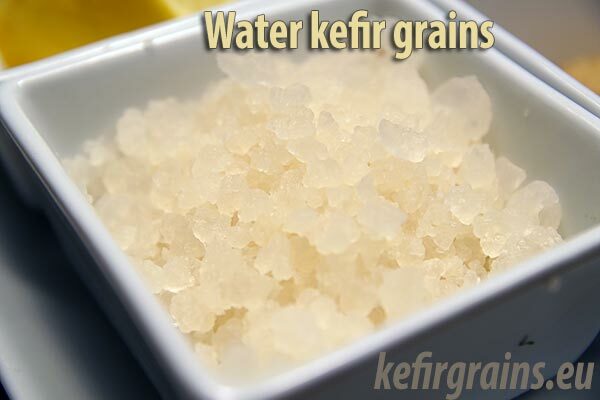 If you do not need the kefir grains for immediate use, then you can go for dehydrated kefir grains instead of fresh grains. 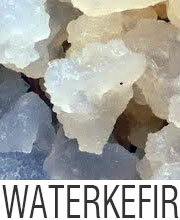 Kefishop.eu provides the best quality dehydrated kefir grains. The additional thing that you have to do with the dehydrated grains is the process of rehydration. However there is nothing to worry much as the seller would provide you with instructions. You can get a reasonable quantity of kefir grains within ten euros from Kefirshop.eu. The shipping time is acceptable and the Kefirshop.eu only charge a small extra amount for shipping. The packaging of Kefirshop.eu is definitely worth applauding as they pack the kefir grains in a bubble envelope, after sealing the grains in a plastic bag. Whenever you purchase kefir grains from Kefirshop.eu, you would get an instruction page, which you can follow to prepare the kefir. What is a freeze-dried kefir starter ? Many people choose a freeze-dried kefir starter instead of fresh or dehydrated kefir grains. Generally the people who do not have the time to make new batches of kefir every few days choose this option of freeze-dried starter. They are available in powder form. Though they are not actual kefir grains, the freeze-dried starter is a convenient option for people who want to enjoy kefir made at home once in awhile. This is the perfect solution where they don’t need to maintain the kefir grains. The best freeze-dried starter can be obtained from the Kefirshop.eu. There are also some other sources where you can buy kefir grains such as KefirLady and Cultures of Health. However the grains are expensive and the packaging is not too good. Tagged Buy freeze dried kefir starter, Buy fresh kefir grains, live active kefir grains, live kefir grains, order kefir grains, Where buy kefir grains ?